Part 3 covers 1917-1939 and uses the terms anarchist and libertarian interchangeably. For fifty years prior to World War I (see Why Social Studies Never Made Sense in School: The History of Anarchism and The Vital Role of Anarchists in the Russian Revolution) anarchism was the backbone of social change, not only in Europe, the US, China and Japan, but throughout Latin America. The decline of the anarchist movement would start with World War I, which killed one-third of working men in the countries that participated. Brutal crackdowns against anarchists (mainly in the Soviet Union and the US) in the final years of the war would further decimate their numbers. The US wars against the trade union movement (carried out by the Department of Justice with the help of the Italian Mafia) were unprecedented in global history. The birth of Bolshevism during the Russian Revolution would also serve to displace anarchism. Not only did Lenin brutally suppress Soviet anarchists, but he would appropriate the anarchist anthem (the Internationale) and many anarchist slogans and teachings. In the US and Western Europe, growing numbers of trade union organizers turned to communism for inspiration, rather than anarchism. With the crackdown against anarchism in their own countries, many US and Soviet anarchists emigrated to France, where they formed a new international collective under the leadership of Ukrainian anarchist Nestor Makhno. This collective focused most of its energy on Spain, where more than a million** anarchists had been organizing for revolution for 70-80 years. In addition to covering the tragedy of the US government frame-up and execution of Italian-born anarchists Sacco and Vanzetti, most of Part 3 covers the Spanish Revolution (aka the Spanish Civil War). This documentary provides a comprehensive outline of the role of Stalin, Spanish communists and Spain’s so-called republican government in launching the counterrevolution that would hand the last remnants of the Spanish republic over to fascist dictator Ferdinand Franco. A worker-run film company filmed much of the actual Spanish Revolution, offering rare insight into what a true worker-run revolution looks like. *In the US, the right wing also appropriated the term libertarian. The early 20th century saw the flourishing of “individualist” anarchism. Unable to wait for the eventual overthrow of capitalism, the individualists simply chose to opt out of capitalist society, as many hippies would do in the 1960s. Rejecting work, country, religion, money and bourgeois morality (including marriage and clothes), they started libertarian* communes all over the world. Many Europeans emigrated to Latin America to start libertarian colonies, and a Jewish anarchist started the first kibbutz in Israel. Under the influence of Spanish educator Francisco Ferrer, anarchists everywhere began experimenting with new forms of education to better prepare children to participate in a new society based on true equality and liberty. The shock caused by Spain’s brutal arrest and execution of Ferrer caused a new explosion of violence around the world. This time it focused mainly on the property of the ruling elite, particularly banks. Anarchists robbed banks (Stalin was a prime example) to help fund the coming revolution. In 1912, the world saw the first successful revolution in Mexico. Although revolutionary leader Emiliano Zapata never declared himself an anarchist, he had many anarchist supporters. Italian and American anarchists, as well as Black radicals, traveled to Mexico to support the Zapatistas. Russia’s 1905 and February 1917 revolutions were both organized and led by anarchists. The final part of the film describes the vital role played by Russian anarchists in helping the Bolsheviks come to power in October 1917, Ukraine’s anarchist army especial was pivotal in opening second front against European and US invaders who invaded Russia in 1918.**. Once Lenin successfully consolidated power in 1921, he brutally quashed the Soviet anarchist movement by assassinating anarchists o4 sending them to Siberian labor camps. This move would prove catastrophic for global anarchism, which was already facing brutal repression from capitalists in many other countries (including Italy, China, Colombia, Japan, Bavaria and the US). *Like Part 1, this video uses the terms “libertarian” and “anarchist” interchangeably. **Called The American Expeditionary Force, the goal of the 1918 US invasion was to crush the Revolution. In Faulkner’s view, Russia’s revolution took nearly 100 years. It was Russian soldiers exposed to Western liberal democracy during the Napoleonic wars who began the first underground networks against czarist totalitarianism. As Russia began to industrialize in the late 1800s, workers engaged in regular mass strikes to protest starvation conditions. The brutal government repression that greeted these strikes led to the formation of a number of revolutionary parties as workers began to demand political change as well. The Bolshevik Party first came together in the years 1899. Organizing a mass democratic party in a police state is extremely difficult. The strategy Lenin and other party leaders employed was to start a newspaper, which they printed abroad and smuggled into Russia via underground groups. Avoiding police infiltration police required a large degree of decentralization and independent function of workers’ committees and subcommittees. Eventually a large underground network arose around distribution of the party newspaper. Part of Bolshevik strategy was to foster strong relationships with the military. The eventual success of the October 1917 would depend on soldiers’ refusal to support the Provisional Government. All the revolutionary activity, starting with the failed 1905 Revolution, began as spontaneous strikes and demonstrations launched by workers themselves to protest their abominable living and working conditions. The February 1917 revolution, in which Tsar Nicholas II was deposed, began as a bread strike led by women. The Tsar’s removal led to dual power, in which three successive provisional governments were jointly run by the pro-war Duma, made up of bourgeois liberals and the Petrograd Soviet consisting of delegates of democratic assemblies which had formed in factories, barracks and battleships. The Duma had no real power as they could only enact measures approved by the soviets. A series of mass military mutinies led to the collapse of the the first and second Provisional Government in April and June. During the 3rd Provisional Government, increasing government repression led to a surge in membership in both the Bolshevik Party and local soviets. At Lenin’s urging, soviets** across Russia overruled the Bolshevik Central Committee in September 2017 and called for a new government run by workers and peasants, as well as mass insurrection. In the end, the soviets would assume power with very little violence by merely disestablishing the 3rd Provisional Government. Owing to mass military defection during 1917, the government was left with no means of defending itself. *It would take Joseph Stalin, who assumed power after Lenin died in 1922, six years to complete the counterrevolution. He would eventually liquidate the entire leadership of the Bolshevik Party. According to Faulkner the great Bolshevik experiment of mass democracy from below officially ended in 1920. Although the Soviet Union would ultimately beat back a military invasion by White Russians, British and Americans, this civil war, on top of a brutal settlement with Germany that devastated Soviet industrial and agricultural capacity, would shatter the Soviet economy. In a desperate hope revolution in other European countries would reopen trade, Lenin officiated over the rise of centralized state control (enforced by the Cheka and the Red Terror) to manage extreme scarcity, malnutrition and epidemic levels of disease. 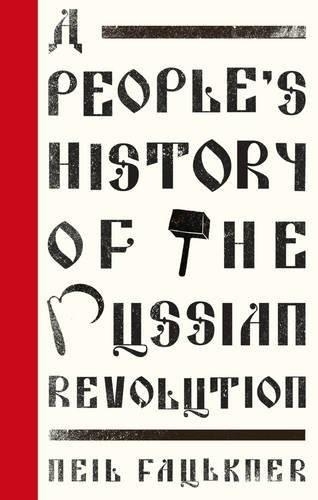 **The first soviets were formed as a result of the 1905 Revolution. In this documentary, the history of the 1936 Spanish revolution is told by anarchists* who actually participated in it. What imperialists commonly refer to as the Spanish Civil War, Spanish anarchists refer to as the Spanish revolution. The revolution lasted from 1936-39 before the counterrevolution, led my Franco, Hitler, Mussolini and Stalin (in conjunction with the western powers), overturned it. The film begins by describing the roots of Spain’s anarchist movement, in Europe’s first workers society, formed in Barcelona in 1840. In 1902, they organized the first free (ie non-Catholic schools) to combat Spain’s high illiteracy rate (50%). In 1910 they formed the CNT (Confederación Nacional del Trabajo) and won an 8-hour day through a series of major strikes. By 1919, the CNT had a membership of 700,000. Banned in 1923, the CNT organized in secret, until 1931 when the king was deposed. By this point they had one million members. However 90% of them boycotted the 1934 election. This enabled fascists to take control of the government and reverse most of the land and other reforms enacted by the Republic. In 1936, the CNT united with other Spanish leftist groups to elect a National Front government. Under General Franco, the military’s response was to launch a military coup. Failing to organize any resistance, the government of the Republic crumbled. Thus it was left up to civilians to organize military resistance to prevent the fall of Madrid – as well as to organize basic survival infrastructure in the territory under their control. The CNT joined with other resistance forces to form the Anti-Fascist Militias Committee. As volunteer militias marched towards the front line, they assisted rural peasants in bringing in the harvest and expropriating barren land from large landowners to put it into cultivation. A total of 7 million peasants voluntarily formed collectives. In the cities and villages, working people seized large buildings to provide lodging for the homeless and set up committees to distribute food, clothing and other necessities and put a halt to revenge killings. In Barcelona, the advance guard of the revolution, 80% of factories were seized by workers. Factory owners either fled or joined the worker-run management teams. Participation in the collectivization scheme was totally voluntary. All production significantly increased during the revolution, as worker-run committees increased production efficiency and adopted new technology. After seizing Ford, GM and other factories, workers converted them into arms factories. Revolutionary councils coordinated the exchange of commodities between regions and exports, via sympathetic contacts, to other European countries. They also enacted decrees guaranteeing equal rights for women and legalizing abortion. In May 1937, strengthened by Stalin’s support (the Soviet Union was the only country willing to arm the Spanish Republic against Franco’s coup), the Republican leadership declared war against the anarchists who ran Barcelona when they refused to surrender the telephone exchange. After five days and 500 deaths, Barcelona’s anarchists allowed anarchist ministers who had joined the government to persuade them to accept a ceasefire. According to several interviewees, this was their big mistake and ultimately cost them their revolution. In view of their vast numerical superiority, it would have made more sense to continue guerilla warfare against both the communists who controlled the government and Franco’s forces. *Most of the interviewees refer to the movement behind the Spanish revolution as “libertarian” communism,” rather than anarchism. This is the first of two posts concerning the 1936 Spanish Revolution – which the US and its western allies refer to as the Spanish Civil War. This BBC documentary offers a more or less conventional pro-capitalist interpretation of events. Tomorrow I will post an alternative view by Spanish anarchists who actively participated in the revolution. Ironically, although Spain was the birthplace of guerilla warfare,* Stalin (the only foreign leader willing to sell them arms) forced the Spanish Republic to engage in a conventional war against overwhelmingly superior forces. Owing to the massive grassroots mobilization behind the Republic, guerilla warfare would have had a far greater chance of success (as it ultimately did in Vietnam, Iraq and Afghanistan). When Franco ultimately crushed Spain’s first republic in 1939, it would result in a brutal fascist dictatorship lasting 36 years. how the grassroots resistance led by Spain’s one million anarchists became a revolution, in which they formed revolutionary committees to organize and arm the resistance and seized factories, which they turned into workers cooperatives, and to redistribute food and other necessities which they distribute to the poor. how effective civilian resistance held back Franco’s forces, confining them to regions to the north and west of Madrid for nearly three years. how Mussolini and Hitler supported Franco with arms, funding and troops, while western Europe and the US signed a pact of “non-intervention” – allowing Roosevelt to sell Texas oil to Franco but prohibiting any western country to supply fuel or arms to the Republic. how only the Soviets came to the Republic’s assistance by selling them weapons (for Spanish gold), providing air cover and coordinating the International Brigades – 40,000 international volunteers from more than a dozen countries (including most of Europe, Australia and the US). Part 4 examines Franco’s background and that of the right wing groups that supported his coup. Part 5 examines life inside the revolution and how Stalin’s agents and supporters in the Republican government systematically crushed it – by murdering anarchist leaders and launching a formal battle (lasting five days and leaving 500 dead) against anarchist forces in Barcelona. Part 6 covers Franco’s final defeat of Republican forces after Stalin withdrew his support for the Republic (to pacify Hitler). It also examines the irony of Stalin and the communists forcing the Republic to wage a conventional war they couldn’t possibly win – in the country that invented guerilla warfare. *The term was first used in 1808, when Spanish guerillas repelled Napoleon’s invasion of Spain. It refers to the use of a small, mobile force competing against a larger, more unwieldy one. Pandora’s Box is Curtis’s first documentary (at least that I can find on YouTube) about the history of perception management, mass indoctrination and collective thought control. His films, a treasure trove of the hidden history that is censored in our schools, offer a unique perspective on the role of government and media in manipulating the way we view ourselves and our relationship with society and the ruling elite. First appearing on BBC television in 1992, the six-part series explores the collusion between engineers, corporate oligarchs and the public relations industry to hoodwink the industrialized world into believing science and technology would solve all the world’s problems. It was a process that granted a dangerous amount of power to pseudo-rational engineer/technocrats – who in many instances proved far less rational than the general population. As Curtis demonstrates in Part 1, a parallel process occurred in the non-capitalist Soviet Union under Stalin. Part 2 To the Brink of Eternity – concerns the development of Game Theory at the Rand Corporation (a right wing think tank closely allied with the Pentagon and US intelligence) and whiz kids like Kennedy’s Secretary of Defense Robert McNamara who nearly led us into a global nuclear holocaust. Clips depicting McNamara’s use of Game Theory to manage the Vietnam War are particularly comical. Part 3 The League of Gentleman – concerns the capture of British economic policy by Milton Friedman’s pseudo-scientific monetarism under Margaret Thatcher. This would result in the total decimation of Britain’s manufacturing base and skilled workforce (and economy). Part 4 Goodbye Mrs Ant – concerns the glorification of the chemical industry after World War II, resulting in the total contamination of the environment (and our bloodstreams) with DDT and similar synthetic pesticides. Curtis also traces the backlash against this environmental destruction that started with Rachel Carson’s 1962 Silent Spring and culminated with the birth of the ecology movement at the University of Wisconsin in 1968. Part 5 Black Power – concerns the destructive myth perpetuated by Wall Street and the World Bank that massive technology projects would magically solve the problem of third world poverty. Curtis specifically examines the massive Volvo damn project the World Bank funded for Ghana (and Kaiser Aluminum) in 1960. And how shameless exploitation by Kaiser (and the collapse in the world cocoa price) left the country worse off than ever. Part 6 A is for Atom – concerns the massive snow job the nuclear power industry did on the US, British and Russian public in promoting nuclear energy as a totally safe and cheap form of virtually unlimited energy. According to Curtis, nuclear engineers knew as early as 1958 that nuclear power was far more expensive than other energy sources – and would require massive government subsidies. They also knew by the early sixties that standard safeguard features were unreliable in preventing nuclear accidents. When they pointed this out to the Atomic Energy Commission, the government bureaucrats decided too much money had been invested in nuclear power to admit they were wrong.